Home IT Trending Verizon buys AOL for $4.4 billion...Really? It felt like yesterday I was making sure that no one in my family needed the phone for an hour so I could go online to check out myspace to see what my friends were writing about or check out a new band I just heard about. After checking out myspace I may have strolled over to altavista or askjeeves or mapquest. 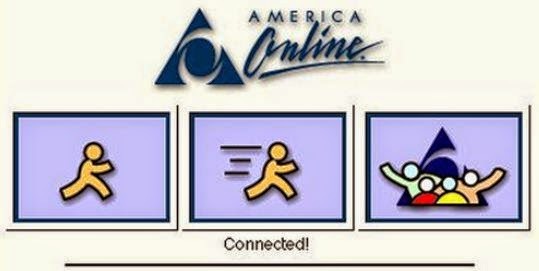 "In January of 2000, when the Internet was still relatively young and a large percentage of users depended on dial-up modems, AOL and its stock were flying high. It used that strength to strike a deal with established media giant Time Warner (TWX), the owner of CNN, HBO, Warner Bros., and a number of other units it has since sold off. The deal was eventually judged to be among the worst mergers in corporate history. The Internet bubble soon burst and the combined AOL Time Warner reported a record corporate loss of $99 billion in 2002, just a year after the merger was completed. The conglomerate eventually dumped the AOL unit in 2009." On Tuesday, Verizon announced the news of the acquisition of AOL for $4.4 billion, leaving all of us to ask the same question: Why? Curious, I took a look at AOL and to see for myself if it was worth $50/share. Like its competitors, AOL has the usual headlines from the different sections of the news, sports updates and a section for local weather, nothing out of the ordinary. Then I discovered what I had never known: A section for AOL original shows. Did you know they have over 30 original shows that have been airing since 2011? In comparison to AOL's website, Verizon's site is not user friendly. The site’s interface has been designed for its members who are looking to check their email or manage their settings. Verizon's site does not seem to gather wandering eyes and clicks. Conversely, according to the CNN article AOL.com brings in $600 million in advertising, most likely a result of the site’s content and layout. Most mergers include two companies who are in competition. The merge would boost the new company's market share and the government has to decide whether that constitutes a monopoly or unfair playing field for the industry. I do not foresee any bans or restrictions on the deal due to the separate business model/customer base of Verizon and AOL. Tim Armstrong, CEO of AOL, believes "internet companies and traditional cable, phone and media companies need to be coming together to create joint offerings, and that those who don't find a partner are in danger of being left on the sidelines without enough scale to compete." Only time will tell if he is right. The most important fact is that Verizon is the largest US wireless company with 108.6 million retail connections. Verizon has the network to leverage based off of volume. The company knows that if they can expand their offerings they can keep sustainable growth, retain current members, and continue to rank high and bring their shareholders money. If they believe AOL is worth $50/share that is good for all AOL stockholders, but I believe it is valued lower and is currently, an inflated stock price. Net Income has staggered since 2010, peaking in 2012 at $1 billion, but only reporting $92 million in 2013 and $126 million in 2014.